Thank you for choosing Laserfit® to restore your vision. Providing excellent patient care is our highest priority. 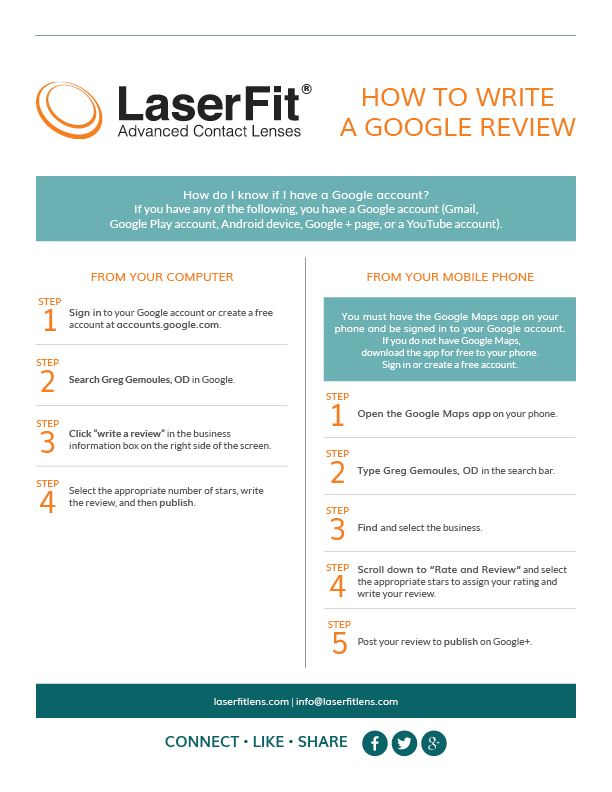 Please take a moment to rate your experience with Laserfit® by leaving us a Google review. We’ll even show you how to do it!